We've been confronted many times with unpredictable weather conditions so me and my brother are good in dealing with it. This is not the first time that we drove under the rain. Experiences have taught us. "We've been confronted many times with unpredictable weather conditions so me and my brother are good in dealing with it. This is not the first time that we drove under the rain. Experiences have taught us." 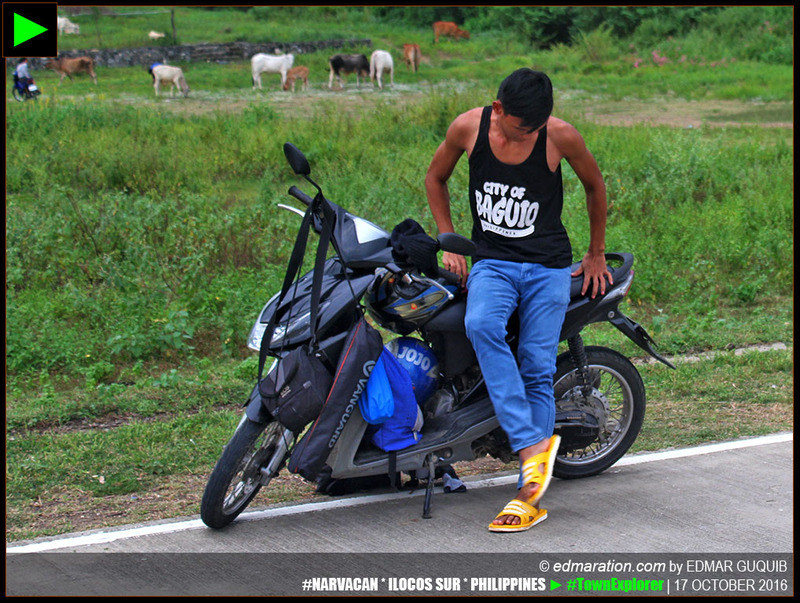 [ILOCOS SUR, PHILIPPINES] ► You cannot get anything that you want. Life is full of uncertainties and surprises. Sometimes we have to sacrifice or give-up. Such giving up confronted me the other day (17 October 2016) when the circumstances presented signs that our planned adventures weren't meant to be. We had no choice but to accept it. The sign implied a lot of warnings. 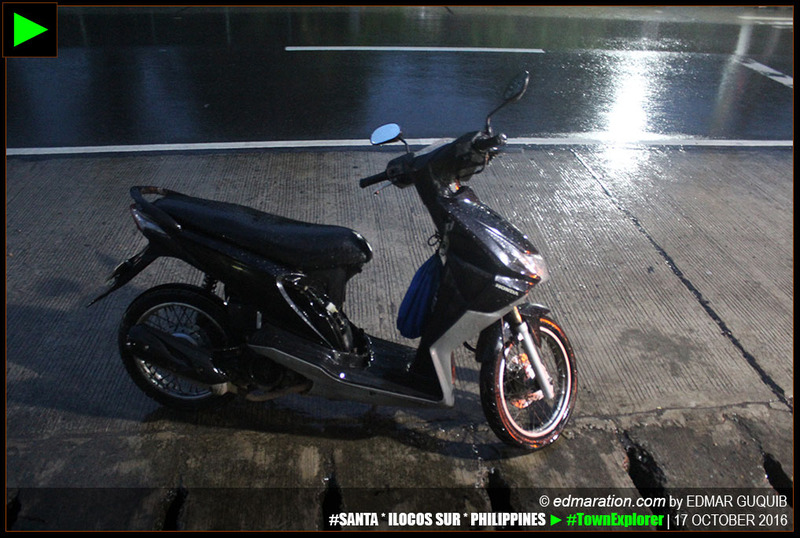 [ILOCOS SUR] ► HELLO! 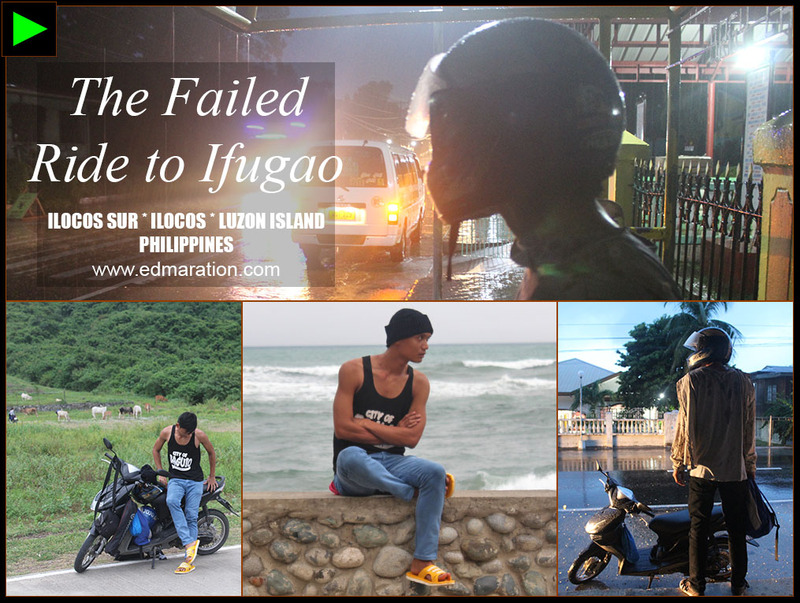 WELCOME TO ILOCOS SUR! 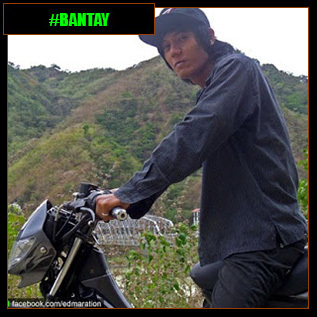 I've been longing to drive a motorbike from my hometown Vigan all the way to Banaue Rice Terraces in Ifugao with a side trip to Sagada and Bontoc and of course, some short stopovers in Tadian, Bauko and Sabangan (all towns in Mountain Province). 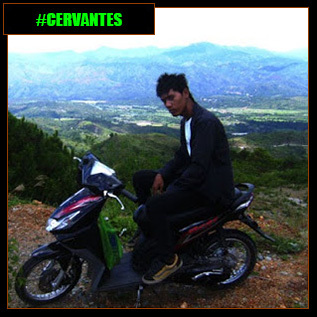 You know, I discovered my passion in exploring when I embarked on my first motorbike adventure from Vigan all the way to Cervantes in 2010. 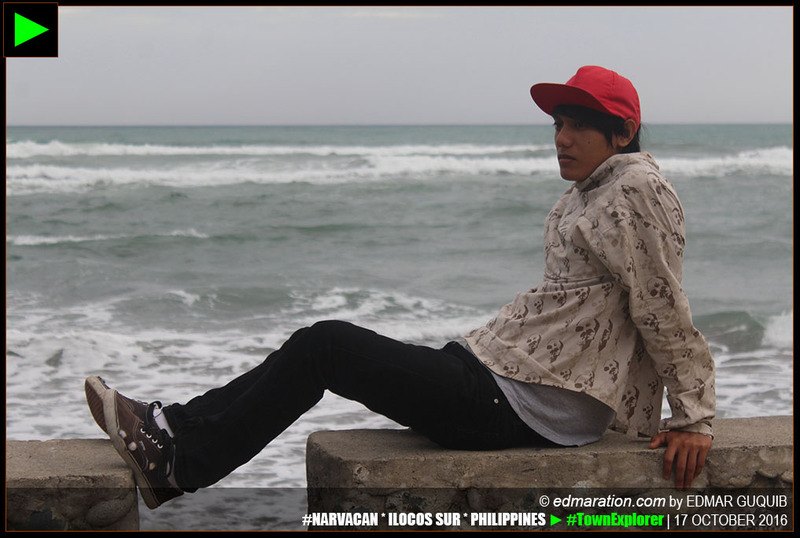 I discovered how beautiful my home province Ilocos Sur was. 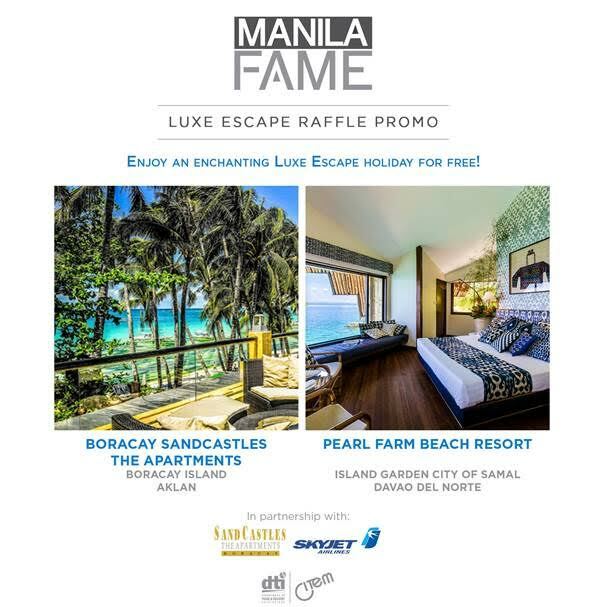 With that, I know there's more in my homeland Philippines. The rest was history. 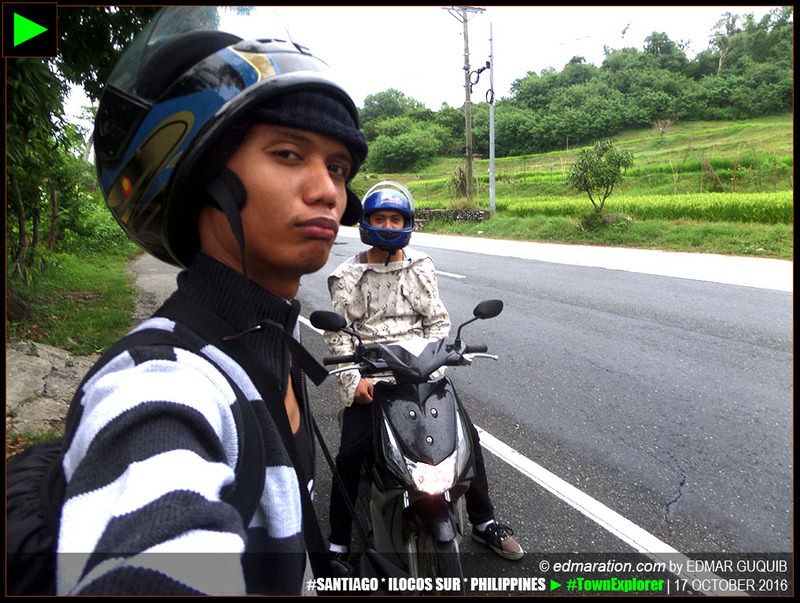 My brother has been my best buddy in terms of motorbike adventures. I'm the trip planner and he's the trouble shooter. 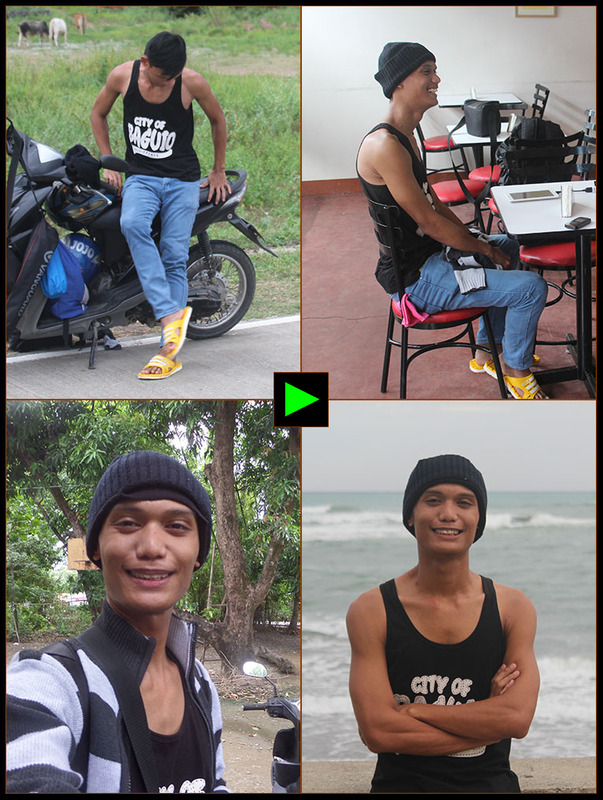 Yes, he's technically-inclined in fixing and conditioning the motorbike we use. I think we're the perfect tandem. In terms of driving, it's alternate. I've planned this trip a week before. 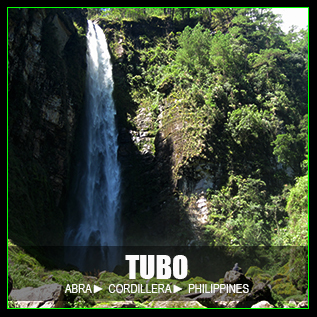 Although typhoon Karen hit the central Philippines, we, here at north, were not affected. Although storm warning signal #2 was declared in our province and its neighbors, it was sunny here most of the time. 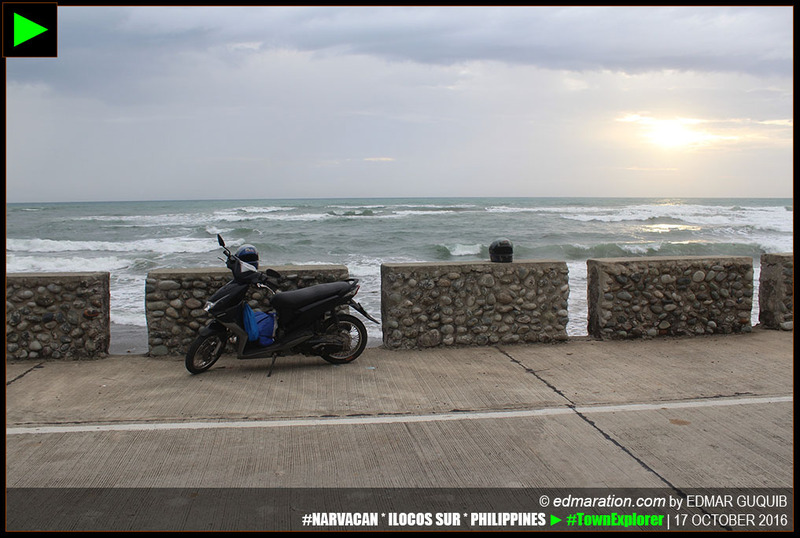 Typhoon Karen left the Philippine Area of Responsibility (PAR) before the date of our motorbike adventures so we were confident to pursue. The other day, we've set everything. 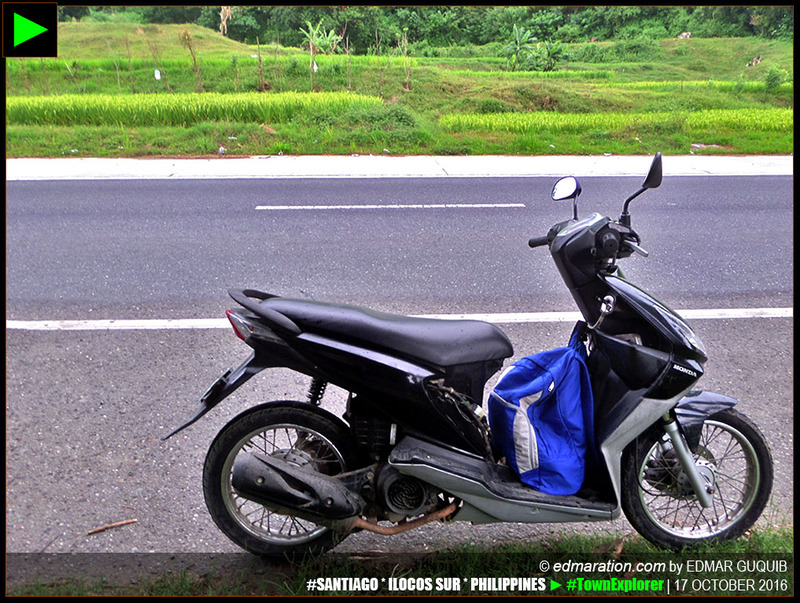 We've packed our backpacks for this supposedly 4-day motorbikepacking adventures in the Cordilleras. The Northern Luzon sky was blue and bright. No drizzle. No rain. We were good to go. 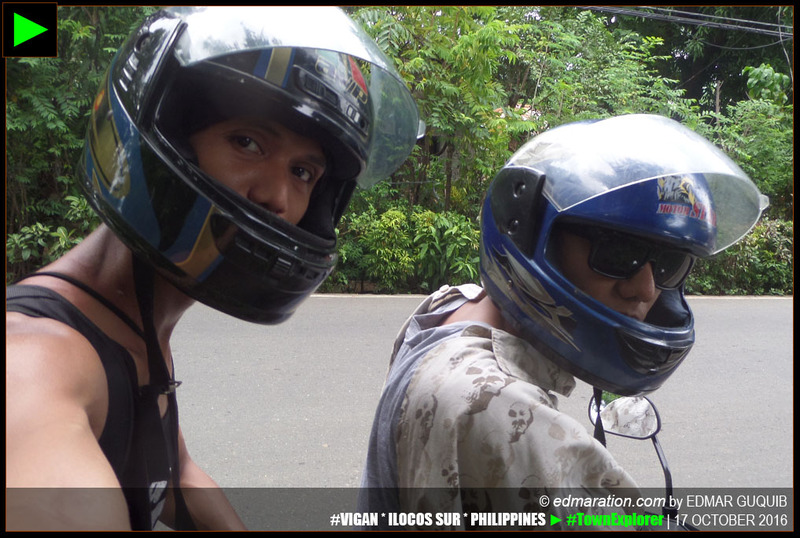 [VIGAN] ► WE'RE GOOD TO GO (IN FRONT OF OUR COMPOUND IN VIGAN). I documented our journey in videos and to start it, I took a video of the old houses of Vigan while we were driving along the Liberation Boulevard as we left Vigan. 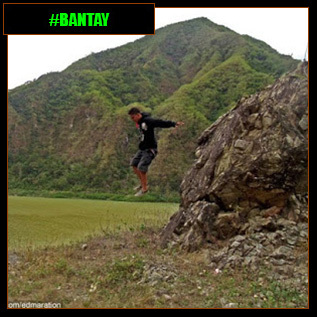 Then next, the town of Bantay. 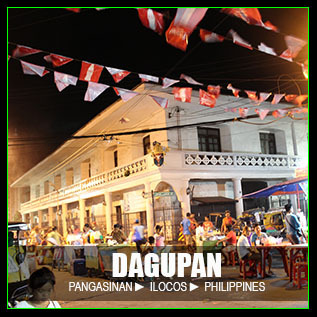 The town was busy with economic activities as it's the perfect recipient of the spill of Vigan's economic boom. 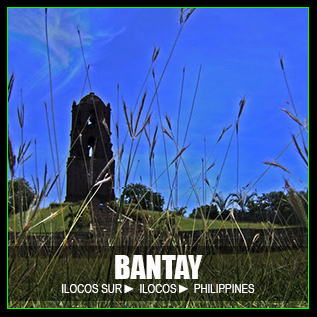 Few minutes away from the poblacion of Bantay were rice fields that were so green! 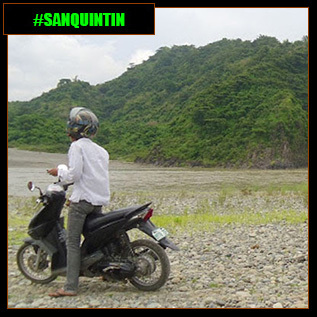 The mountains were clear as we approached them until we reached the Quirino Bridge as we entered the municipality of Santa. The coastline of Santa was rough and wild but there were parts where the waters stayed calm. 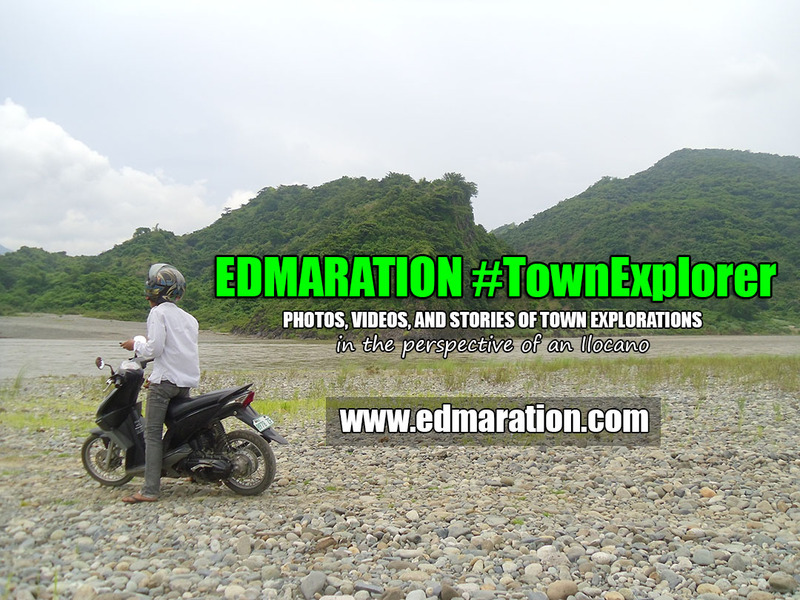 Then the town of Narvacan came next. I love the progress this town is experiencing. Fastfood chains are growing in number. 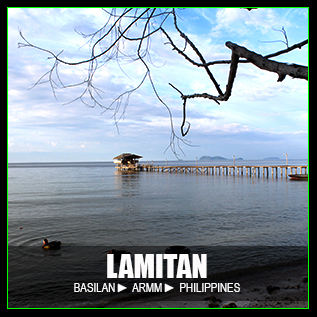 The beaches of the towns of Santa Maria and San Esteban were refreshing. However, entering the town of Santiago gave me a little fear. The southern sky darkened. I had to think twice. The rain started pouring down which prompted us to stop at a waiting shade. [SANTIAGO] ► CUTTING TRIP 'TIL HERE: THE RAIN STARTED TO APPEAR AND IT SEEMED TO WORSEN. We had to observe if the rain should stop then I checked the internet for weather updates. On the search engine result page, I saw an article from interaksyon that was published 4 hours ago that typhoon Lawin is set to enter the PAR this Monday afternoon and according to the article, it could be stronger than typhoon Karen. This news was already enough for us to back out. No, we were not adventure losers. We wanted to win for our lives and dreams. Backing out, for sure, would make us sure winners. 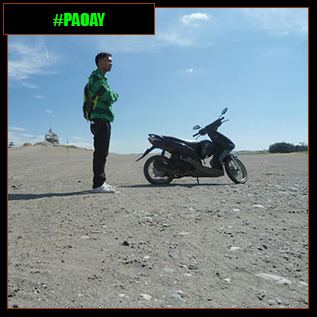 Disappointed, we drove back to Vigan. 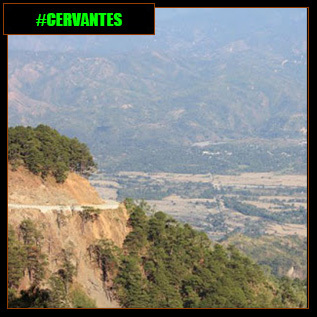 As we left Santiago, the road started to appear dry which means it did not rain 'yet' in the towns north of Santiago. 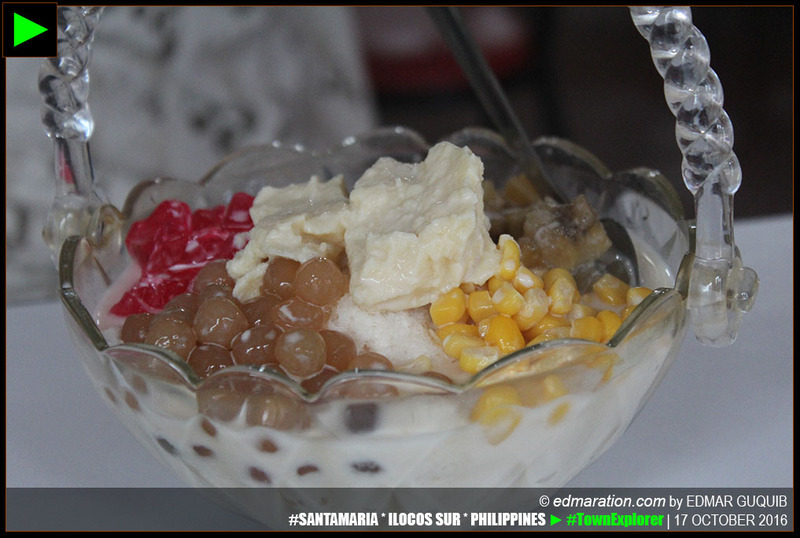 We stopped in Santa Maria for a merienda with my brother and ordered some halo-halo and canton guisado. 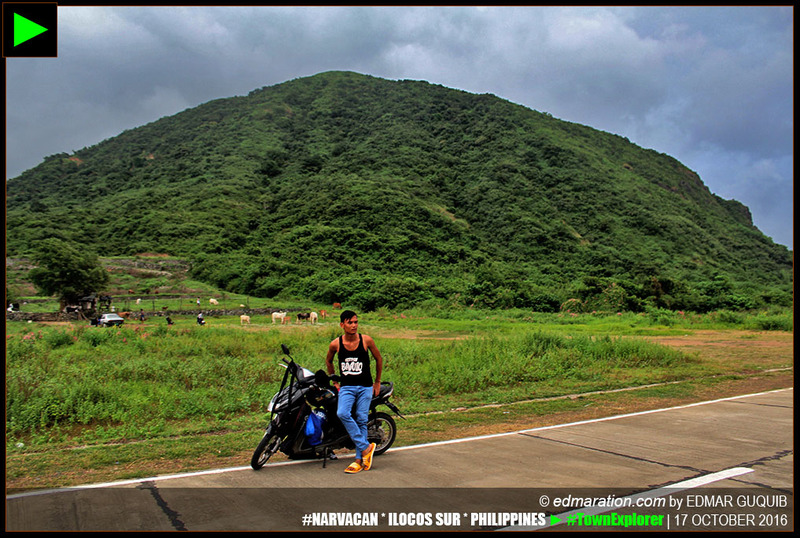 While it was still sunny and dry in Narvacan, we took the chance to enjoy the scenery. 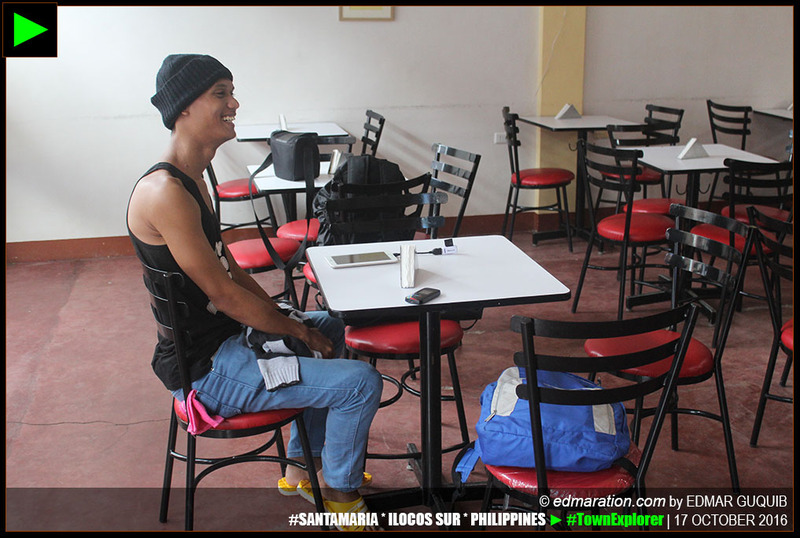 [SANTA MARIA] ► INSIDE ALLY'S RESTOBAR IN SANTA MARIA, ILOCOS SUR. [NARVACAN] ► THE NORTHERN SKY TURNED GRAY. WE HAVE TO GO! 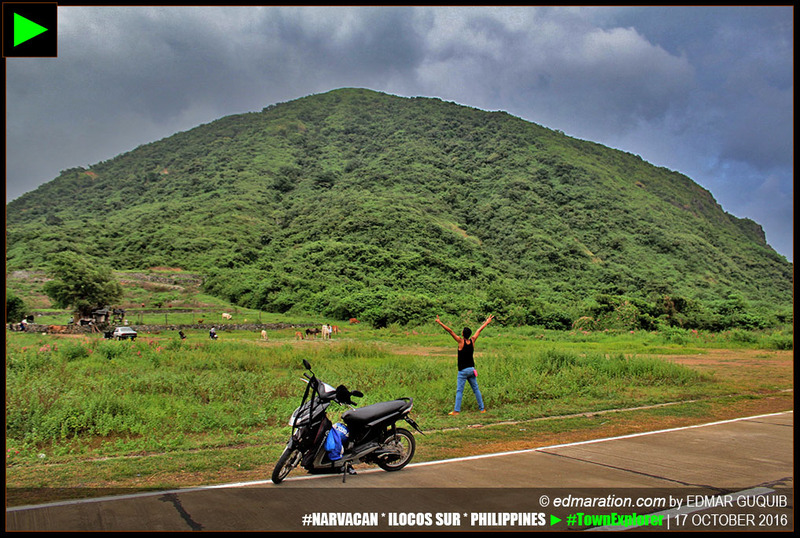 The post-rainy day setting in Narvacan turned Bantay Abot (Mt Abot) green and refreshing. It was a good background for our photos. Due to the impending typhoon, the sea was rough though. 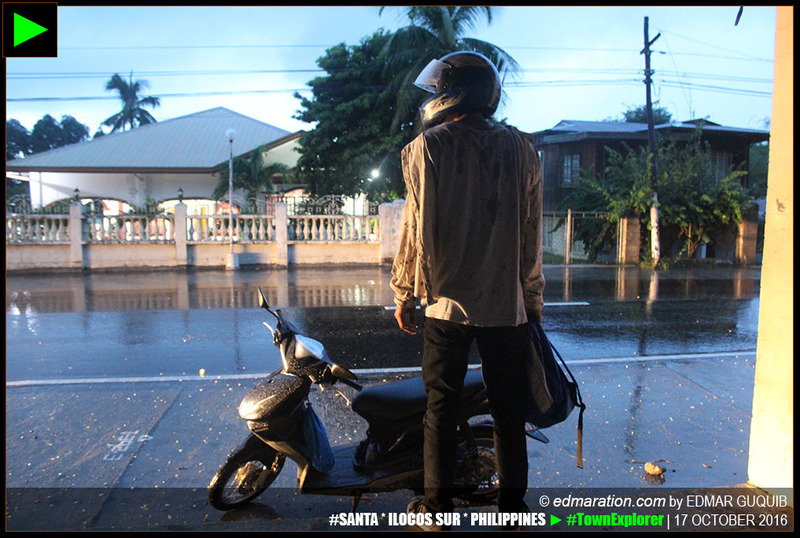 We left Narvacan fulfilled and as we entered Santa, the sky started to pour out heavy rain. With me are my cameras, millenial gadgets and laptop. 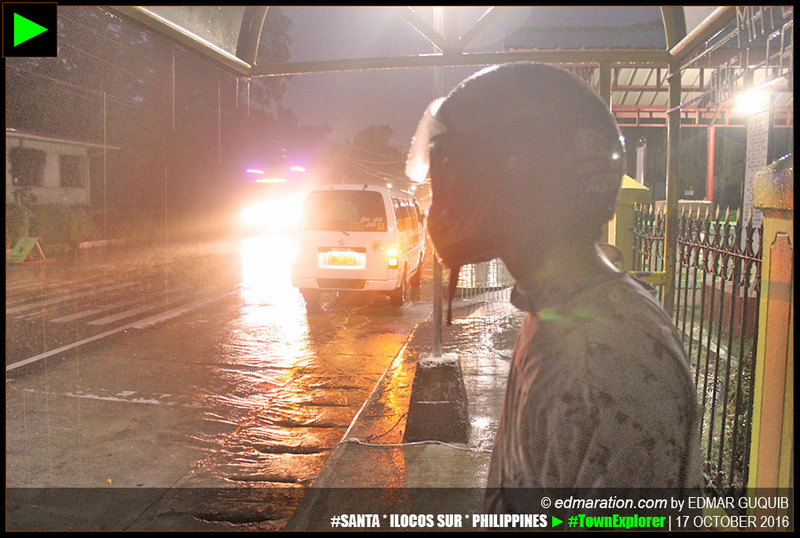 We were on the road under the rain as I tried my best to keep my belongings safe and dry. Thank God, we found another waiting shade where we could stop for a moment while waiting for the rain to stop or lessen at least. [SANTA] ► SERIOUSLY, THE RAIN AND WIND WERE STRONG. A strong wind carried rain water that entered the shade where we were staying, just in front of the Banaoang Elementray School. We had no choice but to become wet. 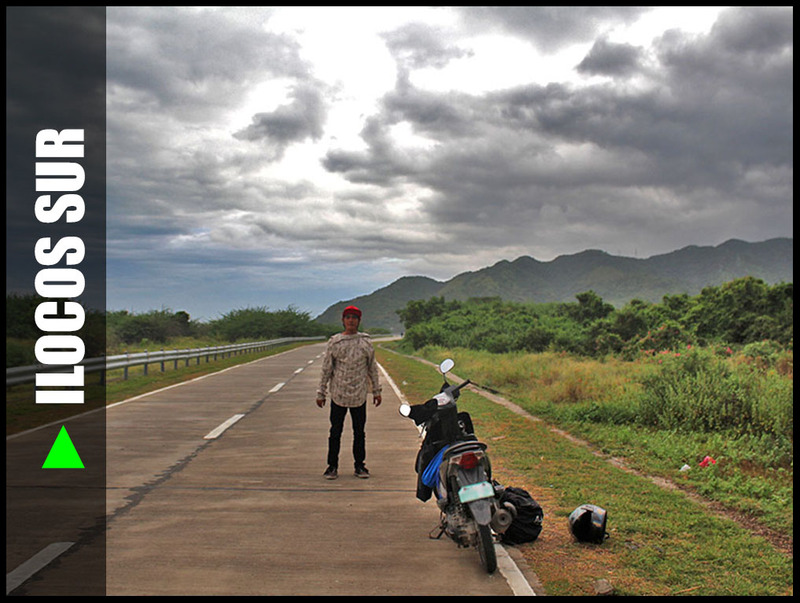 I think we were about 15 kilometers away from Vigan and I had this fear that the rain might worsen so we decided to just go ahead and never mind getting wet as we drove along the wet dark highway. The sky darkened. I braced myself while keeping our belongings safe and dry. I had a lot of stuff with me. You know, this should have been a backpacking trip so expect that our belongings were backpacking essentials. It should have been smooth for us to just carry them on our back and we've been doing it many times but the rain prompted me to squeeze them in the safest space I could place them between my brother's lower back and my abdomen. Failed. The rain started to drench my thick jacket, then my shirt. The rain gently oozed to my skin. I could feel it wet my chest, my abdominal muscles and down below. It could have been just fine for us to bathe under the heavy downpour if not for our backpacking stuff and millenial travel essentials. 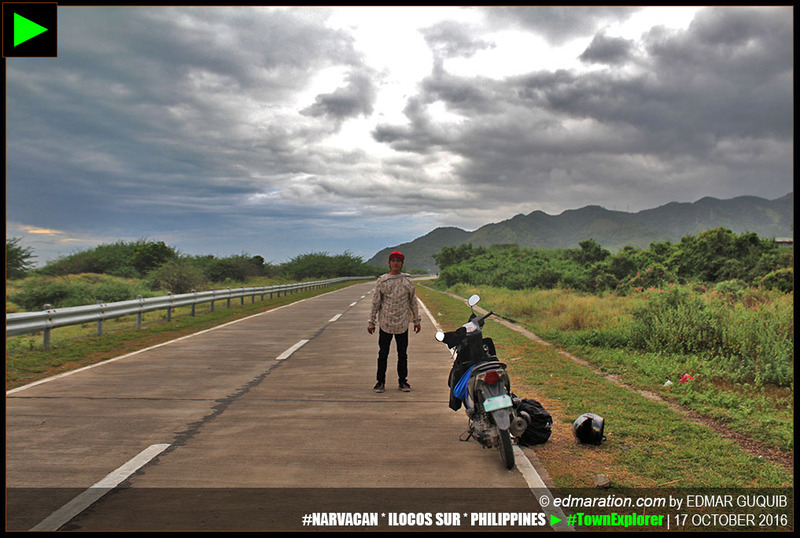 When we reached Brgy Cabaroan in Bantay, the rain started to fade. 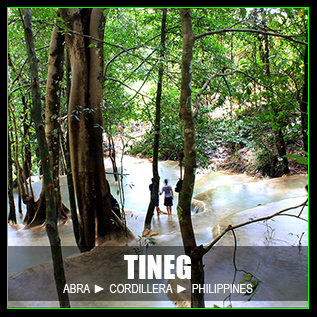 Starting from Brgy Buquig, the road was dry. We looked wet and haggard while the people around were dry. We looked weird. So people, don't judge. We just came from a weather battle. 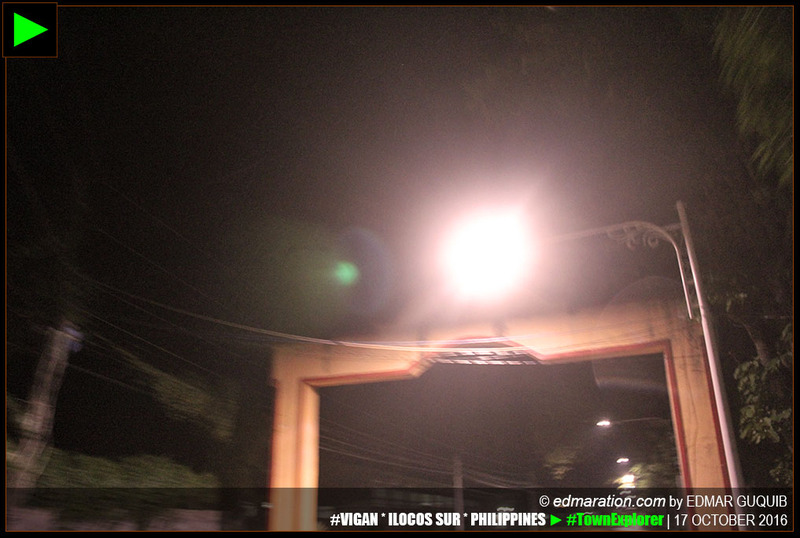 [VIGAN] ► ENTERING BRGY AYUSAN SUR: WE'RE CLOSE TO HOME. 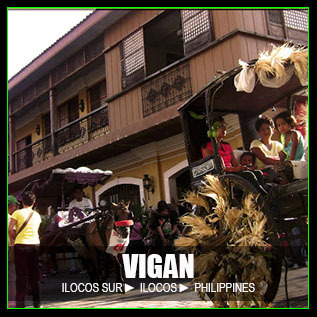 Entering Vigan was a relief. 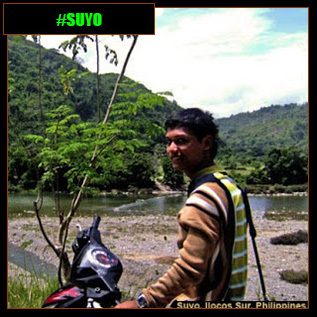 Although we were disappointed with the weather that hindered us in pursuing our motorbike adventures to Mountain Province and Ifugao, we were still happy. The spirit of adventure lives on. We've been confronted many times with unpredictable weather conditions so me and my brother are good in dealing with it. This is not the first time that we drove under the rain. Experiences have taught us. 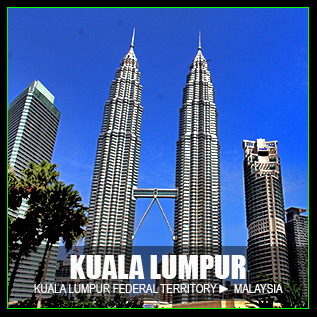 This post was filed under the category "Motorcycle Diaries" There is a section below where you can see other related posts from this category. 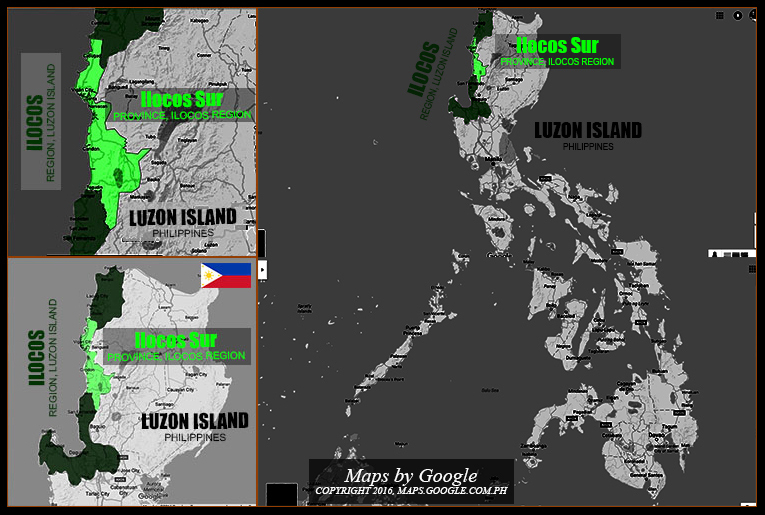 CLICK MAP TO DISPLAY THE LATEST ENTRY COVERING THE ILOCOS REGION. TEASER ▬ The sun is really hot and the sky is clear that time, no time for rain drama. 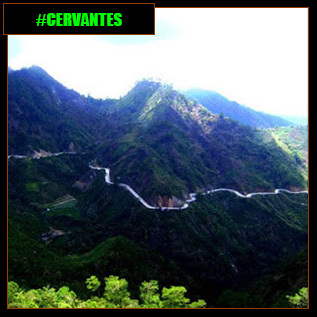 But a tip for everybody, even if it is summer, it is freezing cold in Cervantes especially in Bessang Pass." TEASER ▬ The island is rich in beautiful beaches totally devoid of any signs of capitalism. 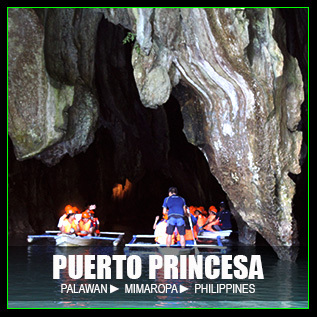 Abundant marine resources have blessed the people with food on the table and livelihood. Islamic culture is prevalent and the warmth of the Sama people is just remarkable.